My husband and I bought our home 5 years ago, this month. We moved in with enough furniture (bed, sofas, side tables) for the basics. I remember looking around in our home and thinking “how are we ever going to fill this home?”. Fast forward to 5 years later (and 2 kids) and now I look around thinking “where did we get all this stuff”. A few weeks ago, I was standing in our bedroom. The floors were filled with clothes, our kid’s toys, shoes and other miscellaneous treasures hiding from eye sight. I was stressed. No matter many how many hours I would spend cleaning and tidying it never stayed that way for more than an hour. The clutter was so distracting that I could not focus when it came time for me to sit down to work. I would look around and my mind immediately shifted me into “clean” mode before I could begin to focus on the task at hand. I thought to myself, “there has to be a better way to clean and stay clean”. I began some research and ran across the idea of minimalism. No, I don’t consider myself a minimalist (yet…), but it has made me reconsider my whole concept of my belongings and how much I really need. 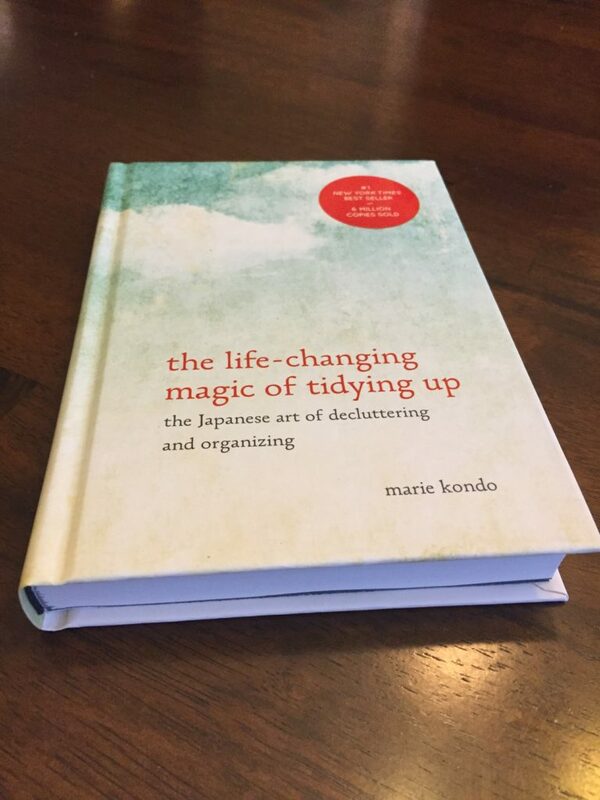 I picked up The Life-Changing Magic of Tidying Up, which I recommend! 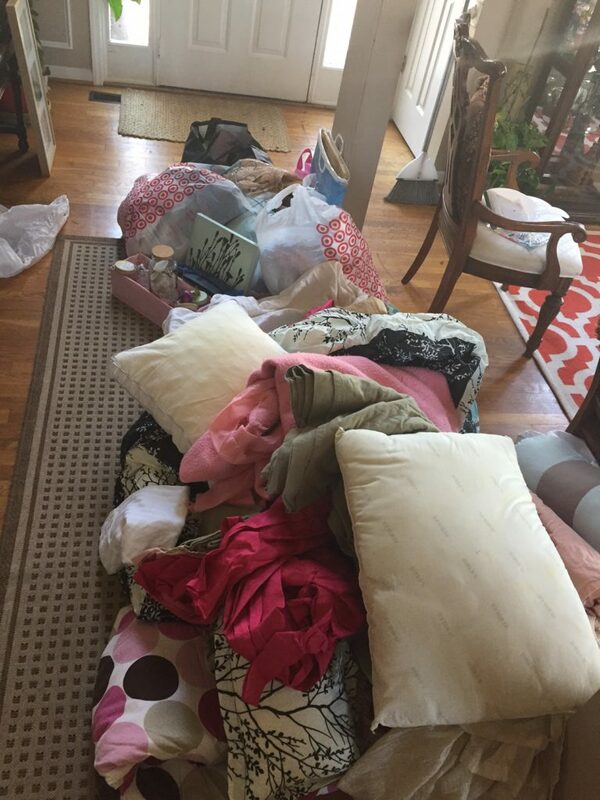 The overview of the “KonMari” tidying process is simple. Does a specific item bring you joy? If not, get rid of it. I never realized how many items I was surrounded by that I had just because. Just because I wanted another black dress. Just because two cutting boards sounded better then one. Just because my favorite movie came out on DVD (while also being available on Netflix). Realistically they served no purpose, function and they did not bring me joy. One of the many piles of discarded items to be donated. As I mentioned before, I am not a minimalist to the degree of its definition. What I did find in the lifestyle of minimalism is clarity and frugality. Clarity, in respect to feeling as if the process of decluttering and letting go of non essential items decreased my stress. Frugality in its very meaning. 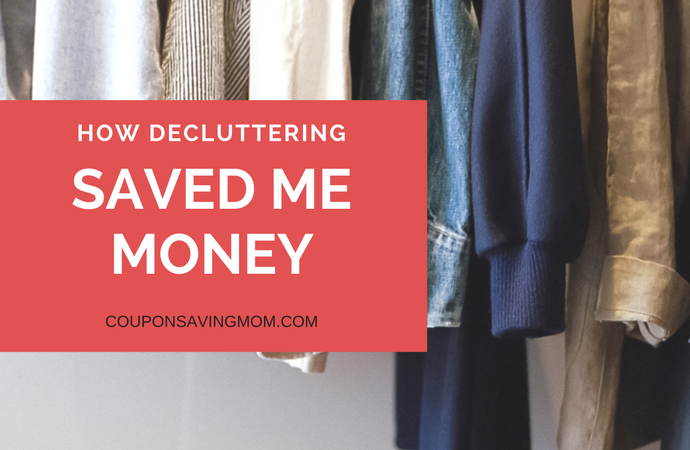 Letting go of items that serve minimal purpose, has given me the opportunity to save dollars and shop smarter. 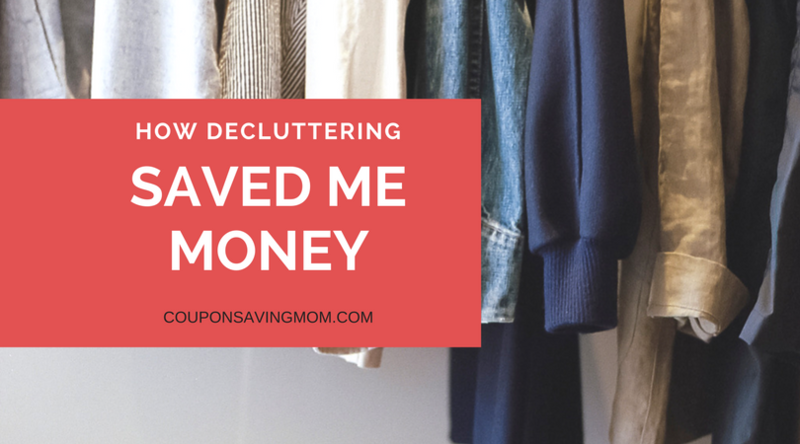 So far we have decluttered close to 1/3 of our home and you know what? My spending has decreased! I no longer feel the urge to purchase random items when out shopping. Below is a list of benefits that you will truly experience right away. Benefits that are visible and non visible. I hope that you are able to breathe a little easier and enjoy life with happiness first. With less clutter comes less cleaning which equals less stress. I now walk into our bedroom and feel relaxed, which is how each person should be able to feel in their own personal space. When you have less belongings there is less to clean. I have noticed, even within the first month, that I have more time during the day to focus on other things. I no longer have to walk into our home office and begin tidying before I can sit down to focus on my work. Imagine the things you can accomplish with an extra hour added to your day! Before putting an item in my cart, I consider the purpose of the item. Does this item serve a function? Do I know exactly where the item will go in my house? 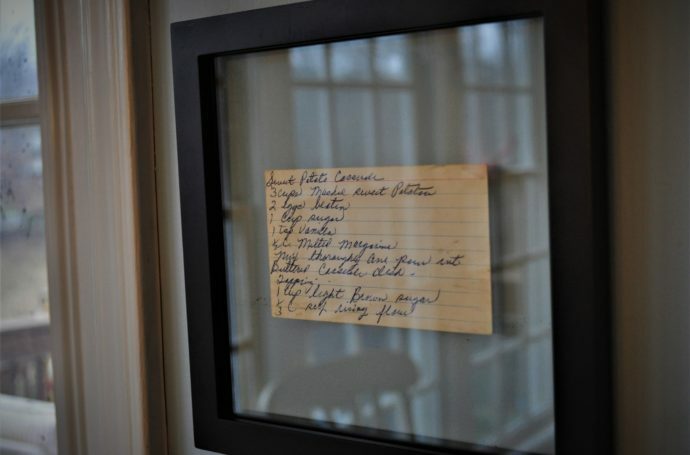 Will this item bring me joy in my home? I learned that many of my purchases were in the moment. “Oh look, this vase is 70% off!”. Yes, the vase may have been 70% off, but I simply made a purchase because the price of the item was low, not because I actually needed a vase. One of the areas in our home that I began to declutter is my children’s toys. Trust me, they still have more toys than they need, but I was able to find a good amount that were no longer of interest to my kids. I took our discarded toys to a local children’s consignment store and sold many of the items. 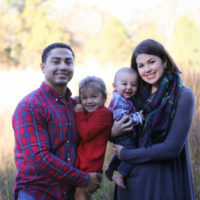 I received store credit (you can also get cash back) to use on future clothing purchases for my children. Mom win! Guys, this is a section of my closet before the decluttering began. 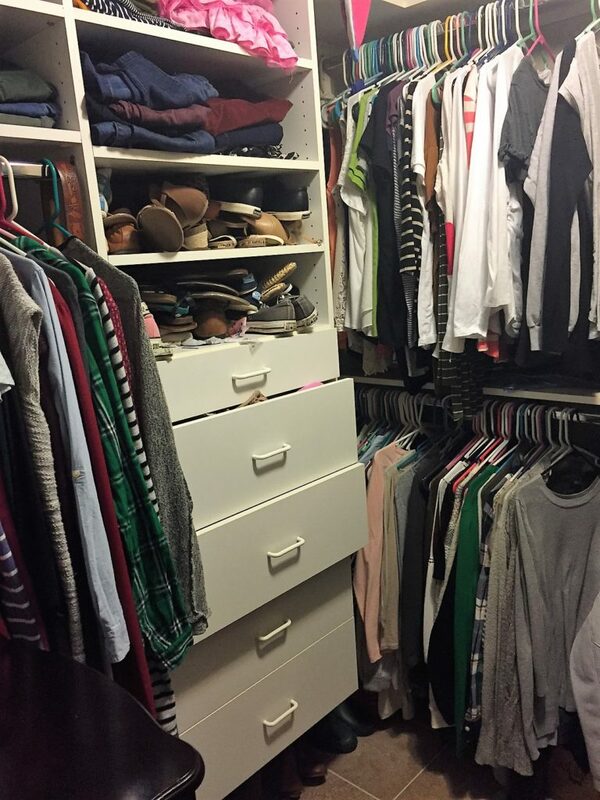 What you do not see is is the countless amount of shoes on the ground and clothes about to pop out of the drawers. Stay tuned for the after! I am currently on the 3rd round of my closet declutter which has resulted in close to 20 garbage bags of clothes to be given away. 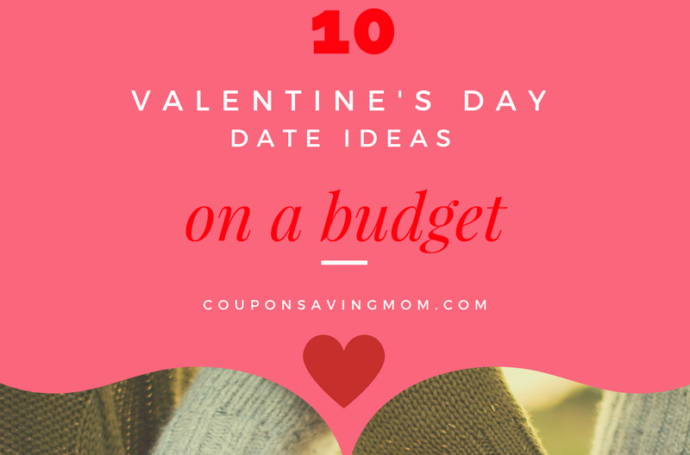 10 Valentine’s Day Date Ideas: Under $20!